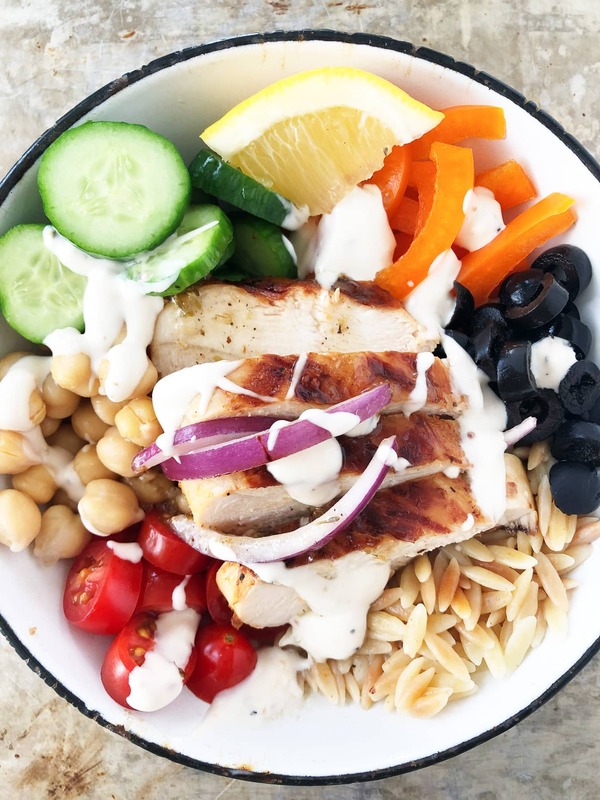 This Greek Chicken Bowl Recipe is a fun, delicious and healthy dinner idea! 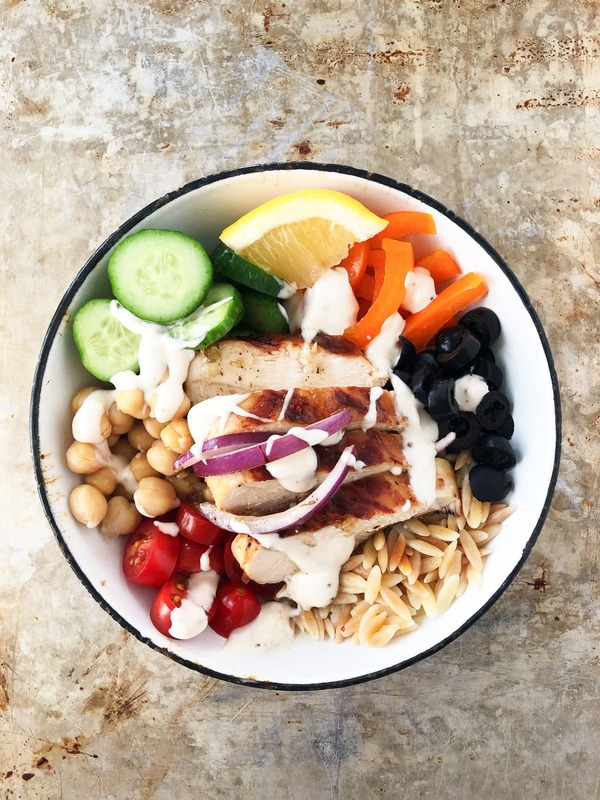 Serve everything buffet style so everyone can create their own dinner bowl. 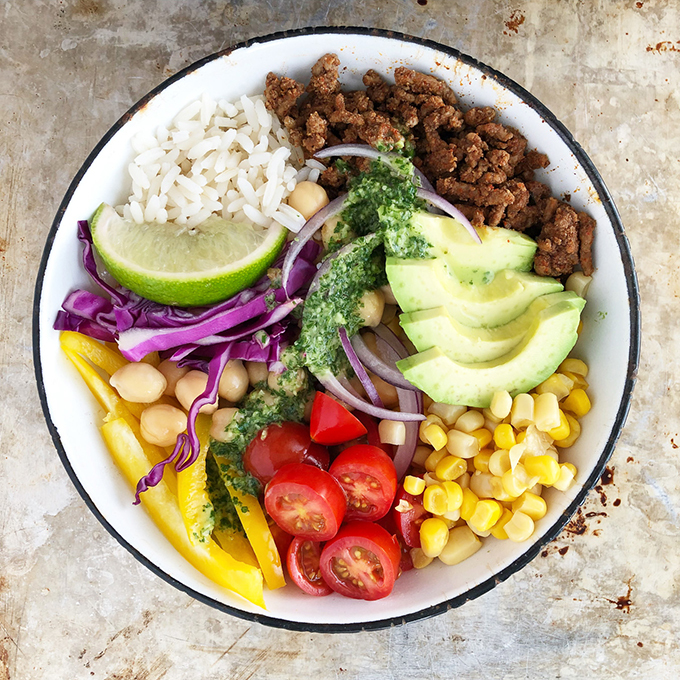 I’m back with another delicious and easy bowl recipe! 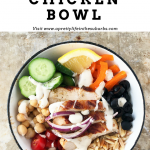 Yesterday I shared my Mexican Bowl Recipe, and today I’m sharing a Greek Chicken Bowl which is my favourite. I love Greek salad so this bowl hits the spot! Real food. Real ingredients. 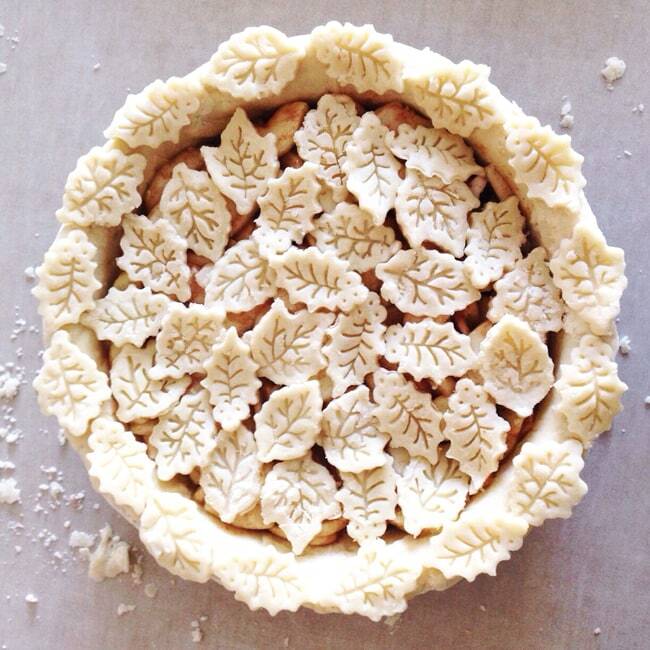 And really easy to make. 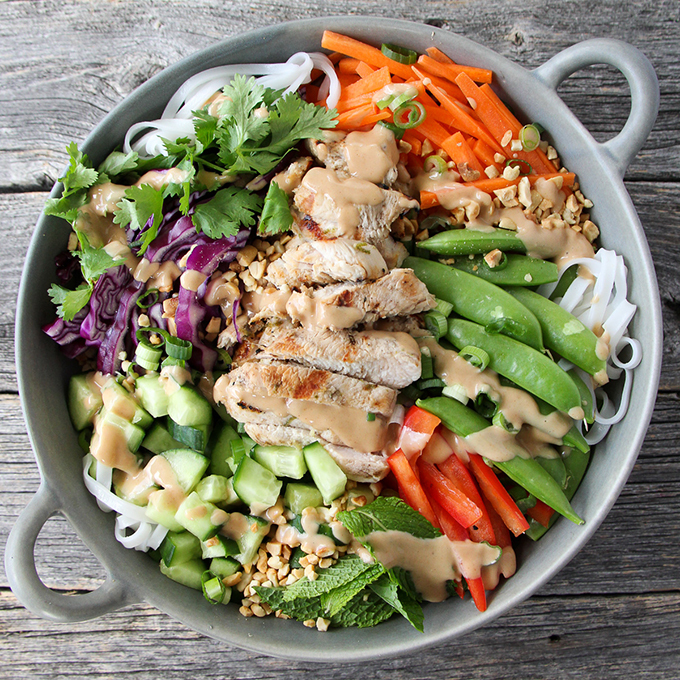 Aside from being SO delicious, I think one of the best things about these dinner bowls is how easy they are to make. You can’t go wrong with fresh ingredients and a self-serve style of dinner. The kids love to scoop out all of their own toppings, and I love watching them each create their own meal. 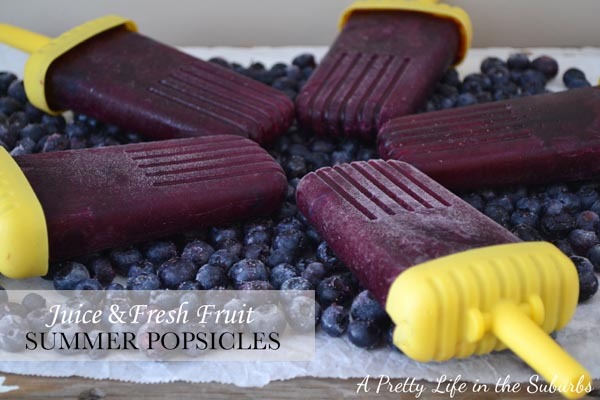 And I also love that it’s healthy and they don’t really even realize it because it’s so good. 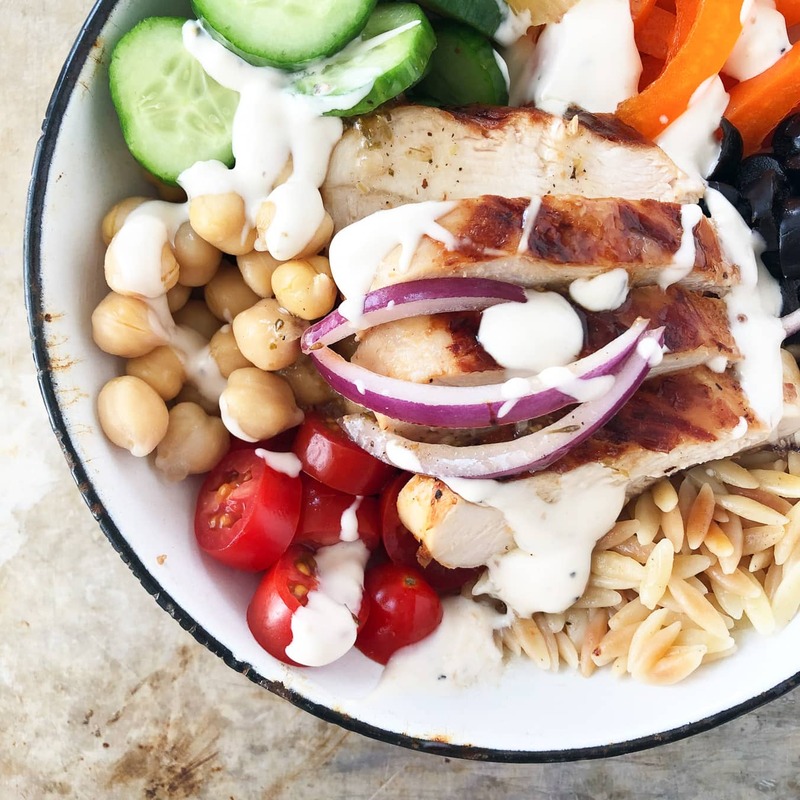 These bowls are made with flavourful marinated Greek chicken, cooked orzo, fresh grape tomatoes, cucumbers, red onion, bell pepper, olives, chickpeas, and feta cheese, all drizzled with tzatziki sauce and Greek dressing. So good. 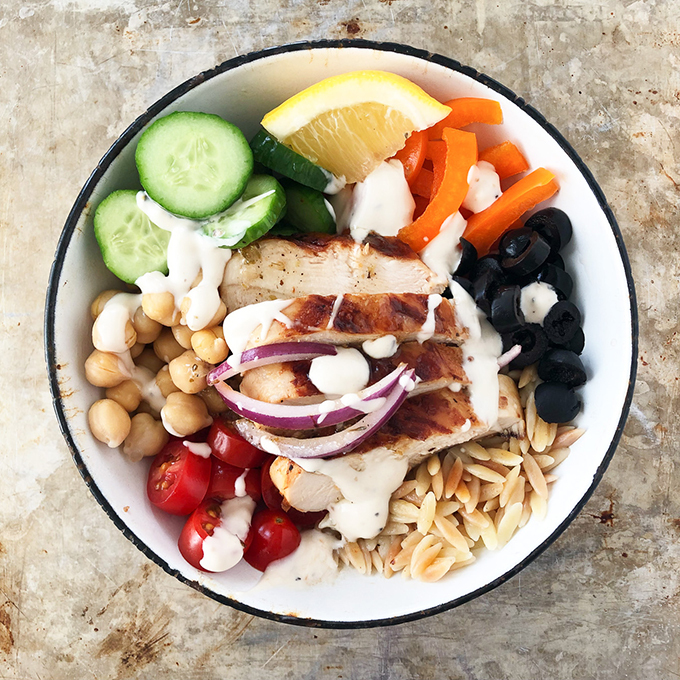 And if you really want to save time with this recipe, you can buy pre-marinated Greek chicken from the grocery store like I did! I’m all for shortcuts like this. But if you want to marinate your own chicken, I’ve given you the link in the recipe, to my delicious Greek chicken marinade. 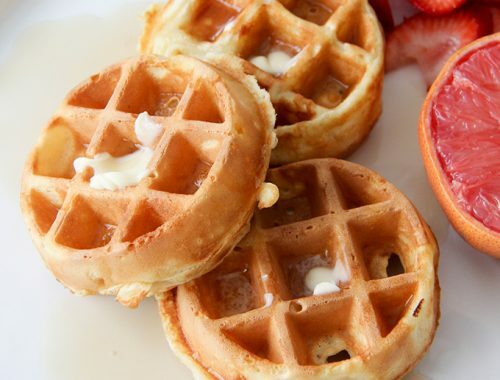 Don’t forget to add the crumbled feta cheese like I did when I took these pictures! As we were about to dig in for dinner, my daughter asked where the feta cheese was! ARG. I forgot to add it for the pictures…but at least I didn’t forget before I finished off my bowl! 🙂 Enjoy. Recipe Shortcut Tip: To save time, buy pre-marinated Greek chicken breasts from your grocery store. Make a Greek marinade, or use a Greek Salad dressing to marinate your chicken. Let them marinate for at least 3 hours, or even overnight. Recipe Shortcut Tip: buy pre-marinated Greek chicken breasts from your grocery store. After the chicken has marinated, grill them until the chicken is no longer pink. Slice the cooked chicken into pieces for serving. While the chicken is cooking, you can make the orzo. In a saucepan over low to medium heat, melt the 1 tbsp butter then add the orzo. Stir and cook the orzo until it is slightly golden. Add 2 cups of water, turn down the heat to low, and simmer the orzo until the water is gone. 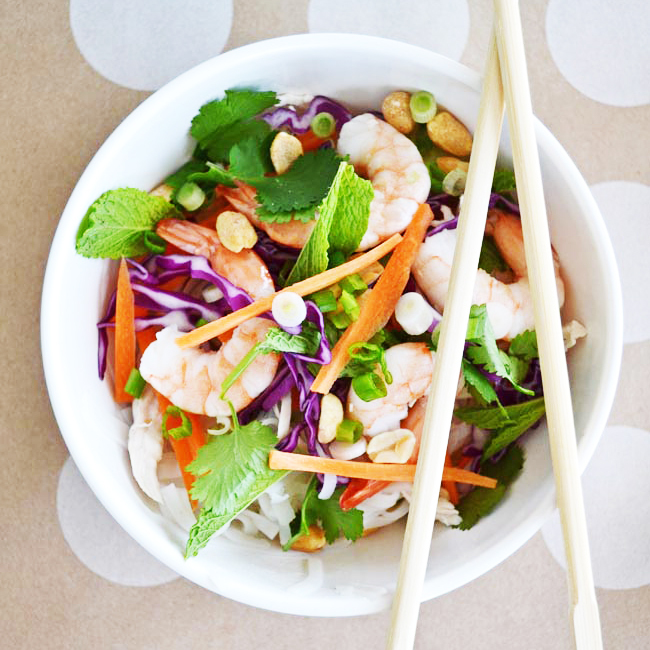 Prepare all of the fresh ingredients and put them into their own serving bowls (buffet style). 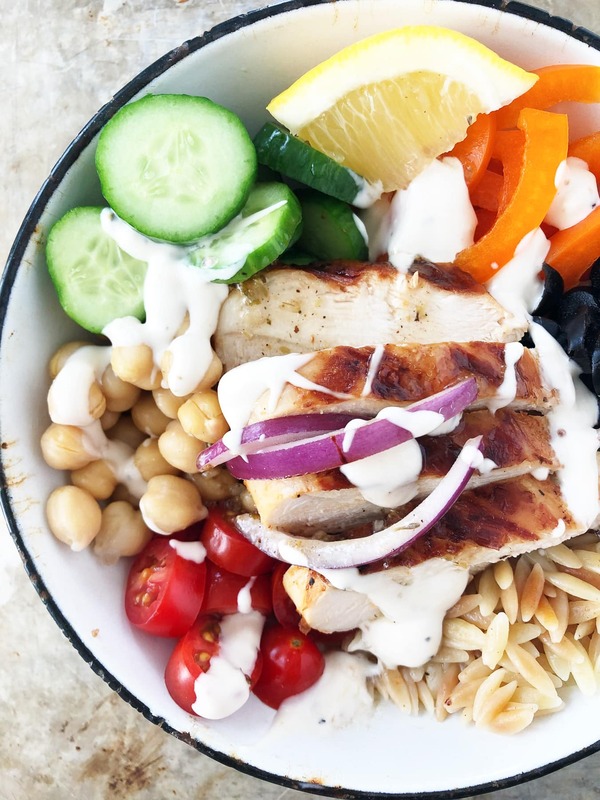 Place out all of the bowls of prepared ingredients, and let everyone make their own Greek chicken bowl! Sprinkle on crumbled feta cheese. Drizzle on tzatziki sauce and Greek salad dressing.